As the march toward sustainable energy continues, experts in the renewables industry have labored to prove the long-term viability of their systems. Promoting green energy tech has been a difficult sell, in part because of the tough operational conditions they are deployed within. For example, wind farms are often installed along the coastline to maximize their energy producing potential, but this placement puts them in the direct path of hurricanes and tropical storms. Extreme weather aside, these installations must also be able to withstand the corrosive effects of salt water and fluctuating humidity without needing constant component replacements that would disrupt performance. The more complex the equipment, the greater the need for regular maintenance. Biomass energy plants face a similar set of constraints, though the technology does not have as many moving parts. The appeal of biofuels has grown over the past decade, driven by the significant reduction in process waste and a focus on sustainable practices. At present, about 9 percent of the world's total energy supply comes from sources of bioenergy. The International Energy Agency predicts that biomass energy generation and capacity will expand to 140 gigawatts by 2026, though most of the growth will be fueled by new projects in Asia. However, before this expansion can take hold of the global energy market, the corrosion-related risks of biofuel creation must be addressed. Biofuels are produced through a series of complex fermentation and oxidation processes that convert residues from food production and forestry into a reliable fossil fuel alternative. The two most common types include ethanol and biodiesel, though other forms of biofuel are constantly being developed. 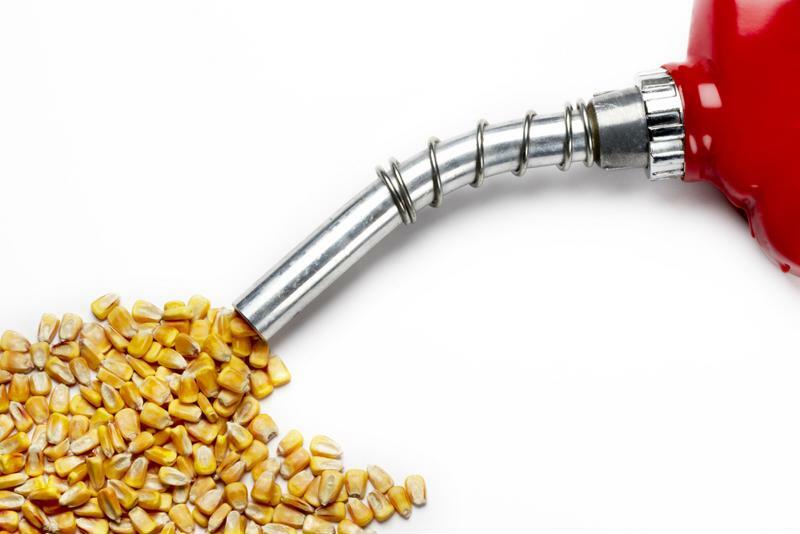 Ethanol is created from various plant materials (mostly starches and sugars) and is used as a blending agent, increasing the octane of gasoline and cutting down on hazardous emissions. According to the Department of Energy, roughly 97 percent of gasoline used in the U.S. contains at least some trace of ethanol. Biodiesel is created from new and used vegetable oils and animal fats, which are treated to produce a clean-burning alternative to petroleum-based fuels. The end product is biodegradable and nontoxic, and can be blended with regular diesel or used as a pure energy source. Creating biofuels starts with the deconstruction of the source ingredients, as most plant and animal cells have rigid biological structures. Molecules like cellulose and hemicellulose, which makes up the rigid plant walls, must be broken down before the refinement process can begin. This deconstruction can be achieved by using either a high temperature or low temperature process, though both rely on natural chemical reactions. The intermediates (crude bio-oils and sugars) can be processed using microorganisms or other catalysts after the organic materials have been broken down, such as yeast or specific bacteria. The resulting fermentation and oxidation phase helps to remove unwanted compounds and create a pure final product. The key to reducing fossil fuel consumption is to develop sustainable energy solutions. High-temperature deconstruction: This procedure uses intense heat and pressure to turn solid organic material into a liquid or gas intermediate. Most biomass plants use pyrolysis, gasification, or hydrothermal liquefaction to complete this task, all of which rely on extreme temperatures. Gasification, in particular, has a corrosive effect on the surrounding infrastructure, as it can reach temperatures greater than 700°C to turn the solids into synthesis gas. Low-temperature deconstruction: Although it does not produce extreme heat, this process can be just as damaging to a biomass plant's equipment, as it uses biological catalysts and chemicals that can erode untreated concrete and steel. Hydrolysis breaks down the organic materials enzymatically and/or chemically, which leaves behind simple sugars from the deconstruction of cellulose and hemicellulose. Fermentation and oxidation: The refinement of biomass intermediates uses large tanks called anaerobic digesters, which house and collect the methane and carbon dioxide produced during the process. These tanks are usually oxygen-free environments and must be able to regulate the immense pressure created by the fermentation of organic materials. Additionally, the unwanted residues often act as a weak acid, dissolving the lime in the concrete and rusting out metal components. Most of the steps involved in biofuel creation take place inside large metal or concrete tanks, which are outfitted with anti-corrosion measures to extend their operational lifespan. Anaerobic digesters seem to require the most protection, in part because a faulty tank could lead to massive safety issues or contaminate a large batch of biomass intermediates. An article from Biomass Magazine discussed some of the techniques used by biomass plant owners to protect their assets from corrosion, citing glass-linings and epoxy coatings as the most common. While these protections certainly help maintain the structural integrity of the anaerobic digesters, they're far from a perfect solution. This anti-corrosion measure is often applied to steel tanks, as industrial-grade glass is remarkably resistant to acids, alkanes and other chemicals. Because of this, glass linings can remain in operation for several years without much need for repair or replacement. While it is not as effective in high temperature environments, glass can withstand the highly aggressive liquids and gas generated during low heat deconstruction. On the downside, this corrosion prevention option is extremely vulnerable to impact damage during routine safety inspections and tank maintenance. Glass linings can also be difficult to install and weak spots may form as a result of application errors or manufacturing deficiencies. Cracks and holes in the lining can quickly become large-scale problems, as any chemicals that seep through will eat through the metal tank at an alarming pace. Epoxy has outstanding adhesive properties that allow it to cling to a number of different substrates, including steel and glass. Epoxy coatings are often used in conjunction with glass linings, as they offer an added layer of protection against chemical leaks. Most epoxies are completely corrosion resistant, making them an ideal choice for patching weak seals within sludge tanks and some anaerobic digesters. In fact, many companies have begun moving toward pre-fabricated epoxy patches rather than metal plates. Despite epoxy's numerous benefits, it is not a one-size-fits all solution to biomass tank corrosion. As high pressure environments, anaerobic digesters require a reliably solid infrastructure to prevent outgassing and explosions. Epoxy works well as a substrate coating, but it cannot completely fill the role of concrete or steel. Biomass energy production will continue to expand in the decades to come, along with new generation methods and improved production technologies. Experts must develop long-term solutions to infrastructural corrosion before biofuel can truly be considered a viable alternative to fossil fuels.